Mixture of carefully crafted selection of Meat Appetisers, served in a platter with salad & mint chutney. Scrumptiously popular pieces of marinated & herbed pieces of boneless chicken, prepared crisped in clay oven (Tandoor), served with mint chutney. 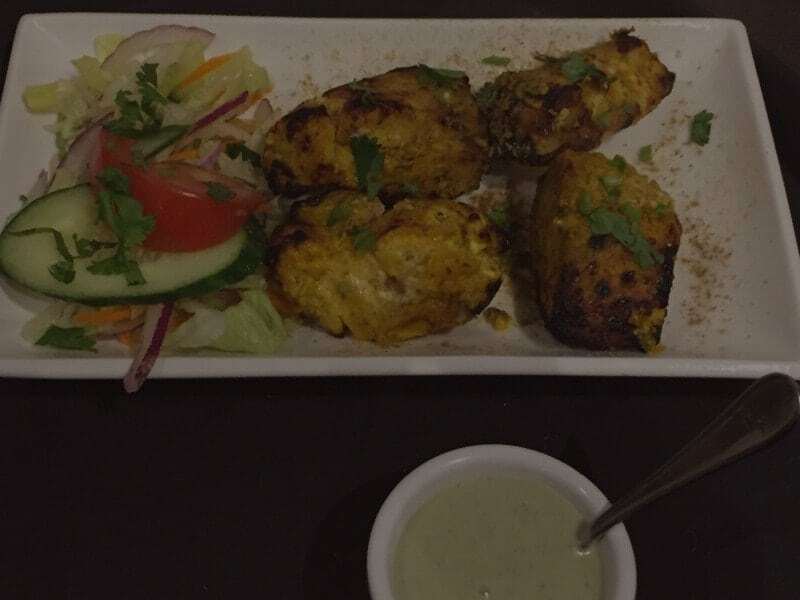 Popular fish fillets marinated with spices & yoghurt, grilled in tandoor oven, served with mint chutney and salad. Minced Lamb, mixed with incredible combination of spices & flavours, crisped in clay oven, served with mint chutney. Boneless chicken marinated in flavours, herbs, spices & yoghurt, designed to melt in your mouth. Great quick snack of lamb cutlets , served with salad and mint chutney. Popular snack amongst all ages where chicken is marinated in yoghurt, lemon juice & spices, handsomely prepared in tandoor, served with mint chutney. Fried chicken fritters sauteed in a combination of diced onion,garlic,soy-sauce,chili sauce and vinegar.